Studies have shown a link between oral health and overall physical wellbeing. It has also been proved how poor oral hygiene could lead to health concerns related to the heart, kidney and respiratory systems. In fact, those who ignore their teeth and gums are more prone to heart problems, diabetes, dementia and in extreme cases, stroke. It thus makes sense to take a good care of your dental health and stay on the right side of physical health. Brushing is a key to keeping your teeth healthy, strong and bacteria free. Dentists all over the world recommend people to brush at least twice a day, once in the morning and then before hitting the bed, to remove food particles, bacteria and plaque from the mouth and achieve a better oral health. If you don’t brush, avoid it someday for laziness, this could spell trouble for your health. The bacteria in your mouth could lead to a variety of oral health concerns including weakened teeth, swollen gums, inflamed gums, stained teeth and loose teeth. If you allow it to produce and stay stored between the teeth or in the oral cavity, it will then mix with food items and convert into acids, which are always bad for teeth. Brushing can help remove those bacteria capable of causing harm by eroding the enamel and weakening the gums and roots in the process. 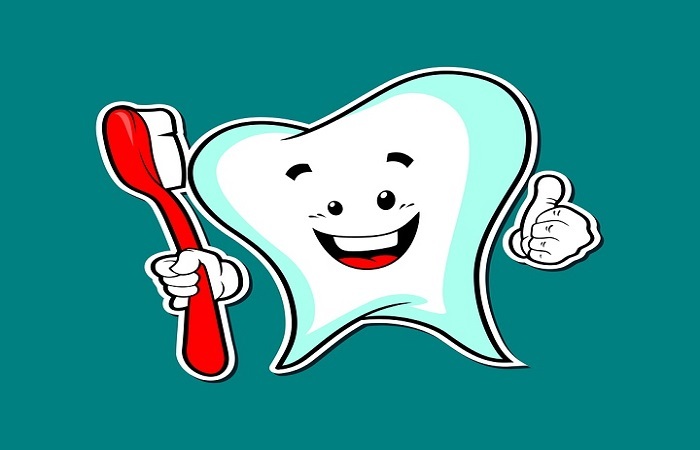 You can brush to prevent tooth decay and remove the embarrassing problem of bad breath as well. So, don’t let bacteria grow in the mouth to put you at oral risks. When you don’t brush your teeth daily or brush lazily without following right techniques, it allows plaque to stay inside the mouth for longer and then convert into tartar. Brushing can indeed remove plaque, but it can’t help much when your teeth have tartar. And such teeth can become weaker and loose if timely dental consultation is not sought. In fact, tartar can cause bad gum infection which almost always results in excessive gum bleeding. This is how your oral health can suffer a lot due to lack of daily brushing. And tartar can prove even more harmful to your health if you smoke or have diabetes. So, consult the dentist and get scrapping done if there is tartar on your teeth. Many of us believe that brushing is only good for the teeth. We’re only half right as it also keeps our gums healthy and disease free. People who don’t brush allow plaque, food debris and bacteria to stay longer in their mouth which can cause a variety of problems to the gums. Further, gingivitis or early stage of gums problems are result of poor oral hygiene and it often strikes to those not regular with brushing, flossing and tongue cleaning. If you are regular with brushing, your gums will never become swollen, tender or inflamed neither will it weaken. Poor oral hygiene is a major cause of bad breath. If you don’t brush daily, this will allow plaque, bacteria and food particles a free run in the mouth. They can mix with whatever foods you eat to produce acids. This is how your breath starts to stink and foul smell becomes a regularity. Bacteria has a pungent smell of their own which is how bad breath occurs. You can brush daily, keep odour-causing bacteria away and maintain a fresh and rejuvenating breath forever. More importantly, when you brush at night before hitting the bed, it lets you compensate for less production of saliva in the mouth (saliva is essential for removing bacteria and plaque) and keep the breath as fresh as you need. Brushing is essential to maintaining a great smile by removing stain-causing elements from the mouth. When your teeth are cleaned, they sparkle and brighten as they should be giving you a wonderful smile in the process. And brushing can also help you minimize risks of heart disease, premature birth, diabetes etc. So, consult best dentist Myrtle Avenue Queens and maintain the desired level of oral hygiene forever. Previous Does Your Lifestyle Affect the Health of Your Teeth & Gums?